1. The Oakland City Council plans to address privacy concerns raised by a controversial new surveillance program tonight at City Hall, the Trib reports. The program would stockpile surveillance cameras feeds with other surveillance tools at a planned data hub. Civil libertarians are concerned that program could lead to abuses if the council fails to institute adequate safeguards. 2. 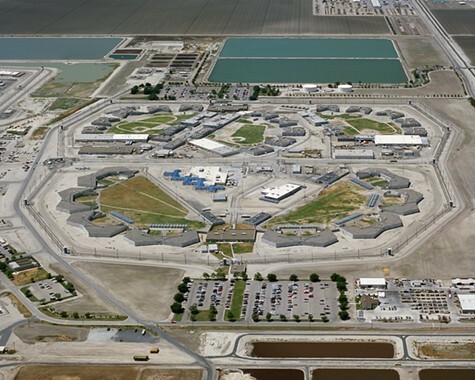 As inmates across the state continue their hunger strike over prison conditions, independent court monitors issued a scathing report of the health care provided at Corcoran State Prison in Southern California, KPPC reports (via Rough & Rumble). The report noted the high number of bacterial infections at Corcoran and blamed unsanitary intravenous lines used at a prison acute care hospital. At the same time, several celebrities, including Gloria Steinem, Jesse Jackson, Bonnie Raitt, Jay Leno, and Peter Coyote have sent a letter to Governor Jerry Brown requesting that he end the widespread use of solitary confinement in state prisons — an issue at the core of the hunger strike, the LA Times$ reports. 3. A United Airlines customer service agent at SFO and his wife were arrested and charged with grand theft and burglary after police said they stole customer baggage during the Asiana airlines crash earlier this month, the LA Times$ reports. 4. Federal authorities have discovered that energy traders at JP Morgan Chase manipulated the California energy market in 2010 and 2011, costing ratepayers tens of millions of dollars, the LA Times$ reports. The feds are expected to announce a settlement deal with the big bank that would require it to pay $500 million in penalties and refunds. 5. And smoke from large wildfires burning in southern Oregon has reached the Bay Area and will result in unhealthy air conditions today across the region, NBC Bay Area reports.